International Yoga Day 2018 presents on occasion for all organizations devoted to the promotion of Yoga to come forward and spread the message about the rewards of regular practice of yoga among the general public. Every individual stands to gain from the regular practice of yoga through long term benefits in health, happiness and well being. International Yoga Day 2018: In Dehradun, the Indian prime minister Narendra Modi is going to participate in the 2018 edition being organised in FRI Dehradun. Dehradun is one of the most refreshing and highly educated city as per Dehradun’s biggest twitter account Dehradun Live. The event will witness a gathering of around 60000 people. Registration to the event is free. Dehradun Tourism is known for valleys and pleasant climate. Festival tourism is quite unexplored in India but online travel companies like Travelwhistle is promoting Indian Festivals worldwide. Prime Minister has been taking very keen interest right from the time when the first International Yoga Day took place and the PM participated in it at Rajpath. 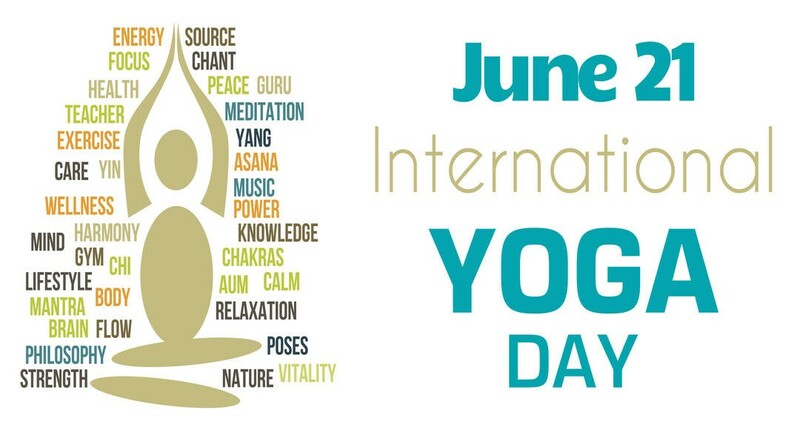 The first International Day of Yoga was observed all over the world on 21 June 2015. The Ministry of AYUSH made the necessary arrangements in India. 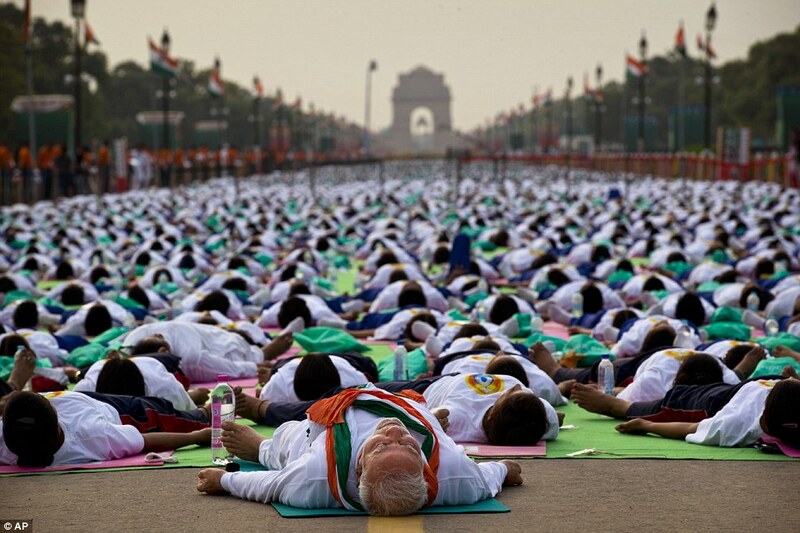 35,985 people, including Narendra Modi and a large number of dignitaries from 84 nations, performed 21 yoga asanas (postures) for 35 minutes at Rajpath in New Delhi. Yoga gives every Natural and Amazing profits to lots of people. Yoga makes the people to connect to the Natural Environment. Yoga is necessary to get the people to come across the use of Meditation. To make the people to let them to get every knowledge and benefits of the Yoga and Meditation. Yoga is necessary to make the people to decrease the rate of Diseases in the World. Yoga also brings the people to come closer for the health related activities from their work schedule. Yoga spreads peace and Honor with better development and Growth of all the activities in the World. Yoga helps to give every people relief from every kind of Bad conditions and also from much more of the Stress. Yoga makes the people to strengthen the Coordination of the World. Yoga makes the people to get them aware about all the Mental as well as Physical problems and also their Solutions. Yoga changes the mind of the people to do every good task in the Country and stop every bad activity in the Country. Yoga makes the people to know them about the Good Health and also about the Healthy Lifestyle to make the people to enjoy the life with all the possible ideas and plans for their own welfare. Yoga makes the connection between the Health protection as well as Development of the Sustainable Health. Yoga is done to do every kind of activity with it’s proper success by completing all the Challenges for achieving the goal. Yoga makes the people to maintain and develop the Physical as well as Mental Health and also encourages many of the people. Here are some desktop yoga-based exercises which can be done in the office during the course of the day to help prevent CTS and RSI. Hold the positions for a few breaths and let the stretch increase, but do not force it. The most important part of each exercise is to become aware of your body and breathe. Exhale and inhaling take both the arms up above the head from the sides and join the palms at the top. Lift the heels and stand on the toes and pull the whole body upward. Continue smooth breathing. Pull the hands upward as much as possible. Sit straight on your chair with feet firmly on the floor. Keep your hand straight on the seat back. Extend the torso and drop the chin into the chest. Sit on a chair, spread the legs apart. Stretch both arms up and then bend forward, placing both palms on the floor. Hold on to the posture for 10-25 seconds and release. Repeat the same movement 5 times.